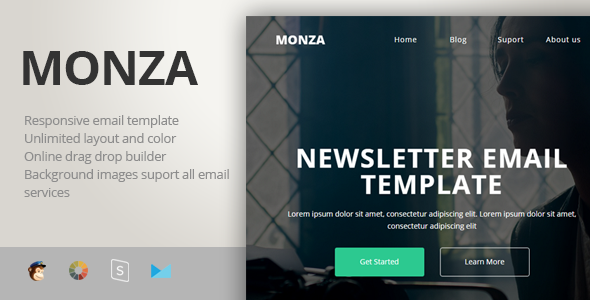 Monza Responsive e-mail template designed for multipurpose bussines. Monza is modern and minimalism, best to gain new clients or customers. It also have bunch of feature like stampReady e-mail template builder (drag n drop), MailChimp ready templates, and CampaignMonitor templates ready templates are also included. Carefully crafted to make it compatible with All device and almost all e-mail clients. If you have vision to reshape the world, then this is the best e-mail campaign design for you.